Award Winning California Registered Architect - Kamala Mostert offers over 15 years experience with residential architecture and interior design. Bathroom and Kitchen remodels, residential additions and new construction. Architecture & Interior Designs featured in the San Francisco Chronicle. Design and service driven practice focused on modern design with creative detailing on a wide range of budgets. Ryan Knock, AIA, architect and principal of Knock A+D, is a Licensed architect in the State of California, a LEED accredited Professional and a Certified Green Building Professional. He earned a Bachelors Degree in 2001 from the University of Kansas School of Architecture and Urban Design, where he received several honors and awards. Knock Architecture and Design's Vision is to make modern, sustainable spaces that are rooted in place. Every project begins with a thorough documentation of the site and surrounding character, followed by in depth investigation into how the users and inhabitants plan to use the space and what their day to day patterns and inspiration and dreams are. This leads to highly tailored solutions to the local environment and community, and also inhabitants and end users. High attention to construction quality, detail, and finishing touches, with hands on service throughout the entire project, result in textured and rich spaces which speak to the way the materials are assembled, and represent the character of both the building within a neighborhood, and those who dwell in them. 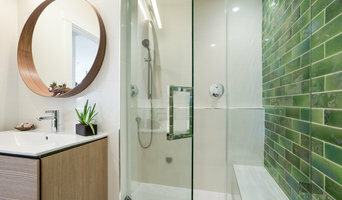 HOUZZ Contributor & Home Design Expert. A good understanding of the roots of these architectural dialects makes a great foundation on which to develop ideas for a house that is right for you. This is where I can help and get you the best design possible for your lifestyle. Building New Or Adding On? Steven Corley Randel has practiced architecture in California since 1987 and has produced well over one hundred projects in those years. Projects completed range from small interior residential remodels to new homes. Steven strives to make additions appear as if they have always belonged and personally attempts to maintain a good understanding of many styles of residential architecture. • References Available Upon Request • Practical & Affordable Design Solutions • Making Additions Appear Original • Designing New Homes Which Stay On Budget • On Time, Reliable & Personable • Broad Experience With Many Styles Contact me for your next project. Visit www.stevenrandel.com. Simple, Sustainable, Cost Effective Design for Modern Living. Jim and Caroline, of Cline Architects are expert home designers. With years of experience, we provide full architectural services and work closely with our clients to help them realize their dream space. Whether it's a single family interior remodel or a new condominium building built from the ground up, we treat each project with the same design ingenuity and attention to our clients' desires from start to finish. We are the experts, so let us help you with your next project. 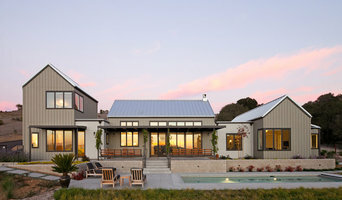 San Francisco's Architect & Designer | 2x Best of Houzz Winner! DOES Architecture is a bespoke architecture practice based in San Francisco, California. We specialize in residential and commercial projects in a variety of styles, with an emphasis on sustainable, finely crafted designs that meet the budget, tastes, and needs of our clients. Founding Principal Eric Staten, AIA, LEED AP B/D+C founded the practice in 2010 after more than 20 years with some of the most noted architectural firms in the Bay Area, including the Stanley Saitowitz Office, SMWM, and Tannerhecht Architects. His experience ranges from custom interior renovations and single and multi-family housing design, to restaurant, hospitality, retail, health care, and transportation architecture. The studio has a strong belief that collaboration with the client creates a more dynamic and unique design solution for each project. The principles of simplicity, of spaciousness and light, and sustainability are realized in each project. Studio Sarah Willmer Architecture is an award-winning nationally and internationally published architecture and interiors firm based in San Francisco with projects throughout the Bay Area as well as Sonoma and Marin County. From new construction to additions and remodels, three principles guide our design process: the building’s structure as a primary expression of space, the control and infusion of natural light, and an environmentally sensitive and elegant material palette. Sarah Willmer holds a Master in Architecture from Yale University and a Bachelor of Architecture from Syracuse University. Following 14 years with several prominent firms, including the internationally recognized Skidmore, Owings & Merrill, Polshek Partnership Architects and Anshen + Allen, Ms. Willmer founded Studio Sarah Willmer Architecture. Driven by the desire to stay intimately involved with the design process from concept to construction, Ms. Willmer brings her diverse background and team-leading experience to the firm’s commercial and residential projects. The creative energy at Studio Sarah Willmer is vitalized by the extensive experience of its senior staff and youthful enthusiasm of recent grads from University of California, Berkeley and California College of the Arts. The team is tight and selected for their unending commitment to quality architecture and critical design. 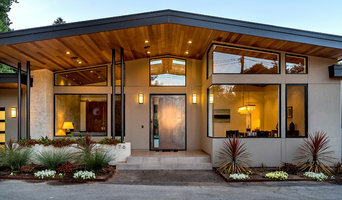 Founded in 1999, Sven Lavine Architecture is a San Francisco Bay Area Architecture and Design firm specializing in sustainable residential remodeling and new construction. Sven’s focus is on creating sustainable design solutions using innovative and unique techniques and materials, to create a harmonious, balanced environment, that serves your needs. How do I find the best 94110 architect for my home design project? It is best to hire a home architect who will be involved in all phases of the design process, from the initial concept to the completed construction. The architect is often the first person you will hire for your project. If necessary, they might also help you select and hire California subcontractors, which can include the builders, engineers and landscaper. Interior architects are also involved in negotiating contracts for all involved participants. It is for these reasons that it is extremely important for you to have a good relationship with the 94110 residential architect you hire. He or she can be the tie-breaking vote between you and the general contractor and can be your biggest advocate during the construction process. Different architecture firms in San Francisco, CA provide different services, so the scope of the work can span from pre-design environmental impact studies to selecting furniture and finishes, depending on what your specific needs are. It is very important to hire the right professional for the job. Remember that the most well-known or established designer might not provide the best architectural services for your needs. It all comes down to the individual project. Research and ask people whose work you like for recommendations. It's important to have somewhat of an idea of the style of house architecture that you prefer, as well as the amount you would like to spend. 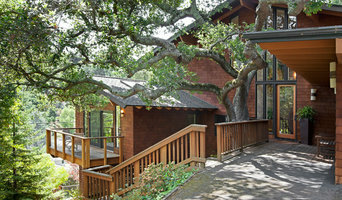 Residential architects in San Francisco, CA are natural problem solvers. They will assess the entire situation and help you to solve your problems too. Don't settle for a single company too early. Call and interview a few. Make sure that you feel like your personalities will mesh well and that you like their professional perspective. Find a home architect in San Francisco, CA on Houzz. Narrow your search in the Professionals section of the website to 94110 architects. You may also look through photos of California projects to find interior architects and building designers who have worked on a project similar to yours.